Bond No. 9’s home base, Bond Street, used to be a quiet, modest NoHo side street, NO MORE. A 100 ml. 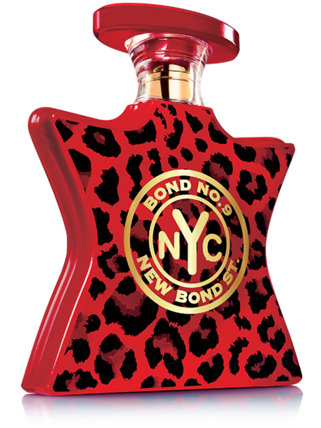 limited-edition bottle of New Bond St. whose fierce black leopard print surface has been rendered with 845 sparkling Swarovski gems. This bottle looks so modern and sassy!!! It’s really beautiful!!! The fragrance is lovely also.